ALBUQUERQUE, N.M. -- A man accused of beating his girlfriend and threatening to kill her was jailed after an Amazon Echo -- a voice-activated speaker device -- called 911, authorities said. Eduardo Barros was arrested July 2 after an hours-long standoff with a SWAT team at a home in Tijeras, near Albuquerque, New Mexico, according to Bernalillo County sheriff's spokeswoman Deputy Felicia Romero. The couple was house sitting for the victim's parents at the time, according to the arrest warrant affidavit and criminal complaint from the sheriff's department. The alleged assault began when Barros' girlfriend received a text message. Barros accused the victim of cheating and "stated he was going to kill her if she called the cops," the complaint said. He asked her, "Did you call the sheriff?" the complaint said. An Amazon Echo device in the home overheard this comment, apparently interpreted it as a command to call authorities and placed a call to 911. "When 911 called (the victim's) phone, Barros saw the caller ID and threw (the victim) to the floor. Barros then kicked her while on the ground at least 10 times in the face and stomach," the complaint said. It's not clear how 911 operators knew to call the victim back on her cell phone. "The unexpected use of this new technology to contact emergency services has possibly helped save a life. This amazing technology definitely helped save a mother and her child from a very violent situation," said Sheriff Manuel Gonzales III in a statement provided to CNN. 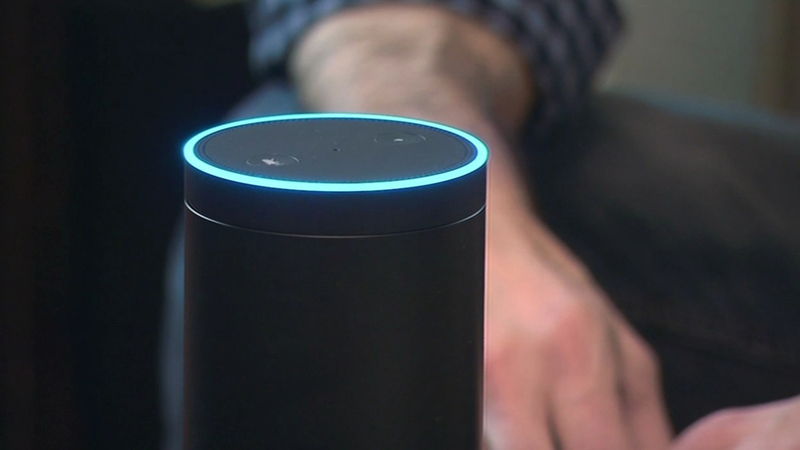 Echo devices usually only respond when the word "Alexa" is used, but they can be set up to respond to other phrases. Romero says the device that called authorities was an Echo device, even though the complaint describes the device as "Alexis" and a "Google Smart Radio." Camille Baca, a spokeswoman for the Bernalillo County Metropolitan Court, says Barros is facing 14 charges, including false imprisonment, aggravated battery against a household member and possession of a firearm by a felon. He is being held without bond. Baca says Barros is being represented by a public defender. CNN has called the public defender's office to seek a comment from the attorney representing him. This isn't the first time that a voice-activated digital assistant has been involved in a criminal case. Earlier this year, a murder suspect in Arkansas handed over recordings from his Echo after prosecutors said the device contained evidence related to the case.